SAT Tutoring With Z Prep! Gets Results! Taking the SAT is one of the most important steps toward preparing for your future. Your SAT results are key to helping you get into the college or university of your choice. Z Prep! has been helping students prepare for the SAT for over twenty years. We know that good results come from good preparation. A good study and preparation program will help you improve your score significantly. 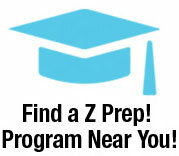 The comprehensive and individualized Z Prep! 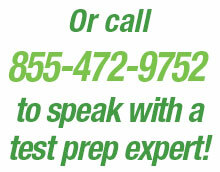 approach helps you get your best test results on the SAT. Which exam: SAT or ACT? Most schools accept both the SAT and ACT exam scores. At Z Prep! we understand the differences between the exams. Based on your diagnostic testing results and your test-taking style, we can help you to decide which exam will give you the best result. Then, you can focus your study on that exam and optimize your final score. Either way, we encourage our students to take either or both exams in their junior and senior years to maximize their chances of getting the score they want. The Ivy Prep is our bestselling SAT course. This intensive 45 hour course is best completed over a minimum six week period. The course includes preparation for all sections of the SAT, including the essay portion as well as the features below. Diagnostic testing prior to the start of tutoring to establish a baseline score and identify student strengths and weaknesses. The diagnostic test projects a realistic starting SAT score. From the diagnostic test results, the tutor will construct an individualized lesson plan based on concepts and standards the student must master to be successful on the SAT. Homework practice questions to reinforce and strengthen performance in focus areas identified in the individualized lesson plan. Access to the Ivy Prep online database and online library containing sample test problems, practice problem sets and other test prep resources. At 27 hours, the Scholar is a slightly shorter program and can be completed in approximately four weeks. This course also covers all sections of the exam. A baseline diagnostic test, the same exam administered for the Ivy Prep program. Instructional time that focuses on the student’s weak areas identified in the diagnostic testing. Homework assignments selected to reinforce instructional areas of focus. A la Carte is great for help with individual subjects. On average, students have seen their scores improve by as much as 30 points for every 5-8 A La Carte hours and completion of homework assignments. Like the full SAT test prep program, A La Carte prep covers all areas of the exam including SAT Math, Reading, and Writing and is based on the student’s individual needs. Z Prep! Tutors Get Real Results! Z Prep! SAT Tutors are among the most qualified available. All of our SAT tutors have scored in the top 5% of all SAT test takers. Armed with training, experience and thorough preparation, our tutors are ready to help your student be confident and ready to achieve a higher score on their SAT exam. & Improve Your SAT Exam Score!